Check out these amazing rates! And as an added bonus, the resort fee of $50 has been waived! Reservations can be made by calling (407) 996-6338 or (866) 996-6338. Please request the National Tactical Officers Association’s preferred rate when phoning. The Rosen Shingle Creek Hotel welcomes you to experience the personal touch of an independent, full service, luxury hotel with all the amenities you expect. The location is prime – on Universal Boulevard, east of the Orange County Convention Center North/South expansion, and 10 minutes from the Orlando International Airport. 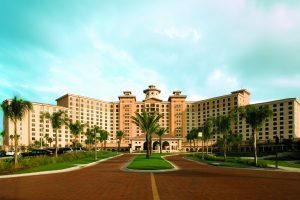 Plan your next vacation in Orlando at the beautiful Rosen Shingle Creek and the SAVINGS are on us!